Two months ago OnePlus 2 and OnePlus X owners kicked off a Thunderclap campaign in the hopes the Chinese company will start releasing updates for these two phones just like it does with its high-end phones, the OnePlus 3 and 3T. Unfortunately, nothing happened in the following months, and both smartphones remained stuck on Android 6.0 Marshmallow. What's worse is that there's never going to be any software changes, at least when it comes to the OnePlus 2. 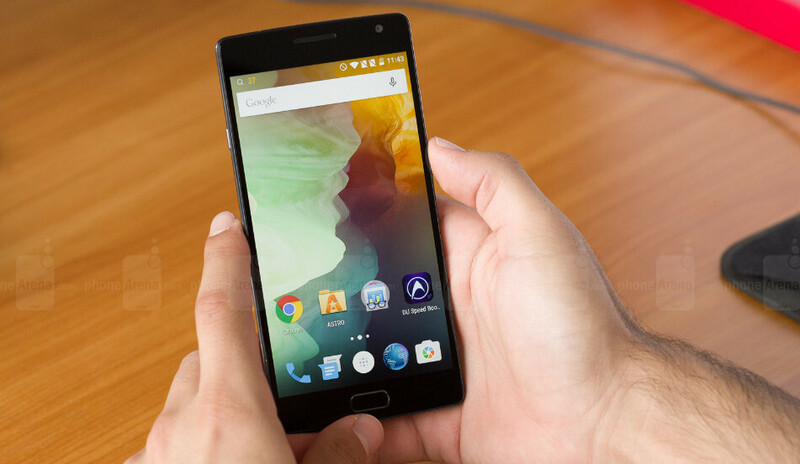 OnePlus has just confirmed that it will not release new major updates to the OnePlus 2 going forward. Basically, this means that an Android 7.0 Nougat update will never arrive for the OnePlus 2. Thank you for reaching OnePlus Customer support.This is Alex from OnePlus. We greatly appreciate your time and effort in reaching out to us. Your concern is of utmost importance, and I will be helping you out with your ticket. As much as we would like to give the latest update on the OnePlus 2, we've discontinued updates for dated devices.But we will continue to support the limited warranty for current users and provide updates and support the best way we can even for OnePlus 2 users. Although OnePlus has yet to make any official statements regarding the OnePlus X, it would be safe to assume the worse. This was exactly my point on the pricing of the op5 expected @ 450 base. No service , no support. Alright.... So the device isn't even 2 years old yet... It was announced July 27th and release in mid August. I'm going to have to call BS on this. I don't think I'll be waiting for the one plus 5 any longer. While it is just short of 2 years, just know that almost every Android manufacturer including Samsung only supports software updates for 2 years and then the security updates up to Year 3. Google only supports Nexus/Pixel devices for 2 years max and then security updates right after. It's actually the worst thing about Android. Apple has a track record closer to 5 years of updates. Android OEMs just delay and delay updates until the device is over 2 years old and then conveniently stop offering any real follow up updates. Yeah Apple support Iphone for 4 years but most of the time it includes a number of bugs that's why they keep on fixing it until it can no longer be fixed because of obsolescence of its hardware. Have you ever owned an iPhone? If so, how many, and how many software updates on iPhone have to completed? Of all of the iPhones I've had, I've yet to have a software update cause problems or have bugs that interfere with usage or performance, plus I jailbreak when I can. When there are some people with software bugs, the media blows it out of proportion to sensationalize the story in order to generate more hits on their website, generating revenue. Can't really get the same attention if it's an LG or HTC lol so we don't hear about all of the bugs that Android devices have besides some forum posts. Of all of the Android devices I've owned, only 1 model lacked issues and that was an LG G2. The rest had some sort of hardware of software issue at some point. Not all of us are convinced that every single software update from Apple is a crippling update, especially with the satisfaction rating that iPhones have. They wouldn't sell as well as they do if they were bricked from every update. You pretty much summed up my thoughts. Even though I like android more, But I have to admit that Apple devices are worth the premium for it just works thing. Forget about all devices, Pixel coming straight from Google has many issues. The thing, these manufacturers don't devote much time and resources to get things perfect. No, Apple supports up to 5 years (up to being the keyword). The iPhone 4S released in September 2011 was officially pulled from the latest software updates with the introduction of iOS 10 in September 2016: almost exactly 5 years. The iPhone 5 which was released in September 2012 is still getting the latest 10.3.2 update which it is now beyond the 4 year mark. This aint even 2 years old mate. The thing is, its actually younger device than S6 and that phone already got update, despite having its own fingeprint system that everyone mentioned as problem of updating to Nougat. This and they already promised that 1+2 will get Nougat and they havent delivered it. Even the Nexus 5x and 6p received Nougat last year. The 6p wasn't much more than the OnePlus 2. What do you think the extra cost from Samsung and the like covers? For many that buy OnePlus, they don't rely on the company for ota updates, they just fall back on custom ROMs. If you don't like that, you just have to fork over an extra few hundred bucks and get a mainstream OEM. It's really just that simple, no need to bash the company. Why? Even the hardware is different every year, especially Quad Hd amoleds , water resistance , UFS , Camera performance. Not just software support. Please try repairing your oneplus phone once. youll probably get it back in a couple of months. Oneplus Service is not bad , its terrible. I read that somewhere a Samsung Galaxy J5(2015) is getting Nougat lmao, so OnePlus 2 updates are even lower than midrangers? OP2 was quite a bad phone anyway. Doesn't matter. Does it matter tho? If it was that bad they shouldnt sell it, especially not for invitations. Once they promised something they should do it. Alright.... So the device isn't even 2 years old yet... It was announced July 27th and release in mid August. As a op2 owner this can seal my deal about not buying op5. That is way too short software update. what was your excuse for not buying an OP3 or OP3T? OnePlus is clearly not interested in folks that only update their phone once every 2 years. heck, what phone company is. My kiddos hand-me-down OP2's have been rocking Nougat ROM since November. Cool but a 4 years old Note 3 is still getting security updates. It had Jelly Bean, Kitkat and now is stuck on Lollipop, so yeah 2 OS updates. I had a OPO. After they made it clear that they wont be giving Nougat and VoLTE and Oxygen OS team left them. I didn't get upgrade to OP3. But with community builds and constant update to OP3 and OP3T, I was hyped up for OP5. If these is their stance on Software Upgrades, I wont be upgrading to OP5. Currently using Lenovo P2, addicted to 2 day battery life, even though it is slightly slower. Will be waiting for Google to undo their mistakes this september. Wow!!! That escalated quickly. Suddenly I am having second thoughts about 1+5. Carl... I doubt you will get any money from me. To a 300 euro phone I am expecting some kind of support. Worse than typical Android OEM. They atleast support their flagships for 2 years and if not, they dont promise anything like this amateur company. Jeez, the phone is less than 2 years old and Nougat has been around for almost a year. That is absolutely atrocious product support. a 2015 "flagship killer" shouldn't outdated by a OS update that came out in 2016 originally. As much as I love Oneplus.. they do need to step up their game in providing updates. What's more worrying is their atrocious security support. No timely security updates for any of their recent products, where as a more than 3 year old S5 is still receiving monthly security updates (the 4 year old S4 had its last one this February).